Ben has launched a new initiative to raise vital funds to support industry people during difficult times. 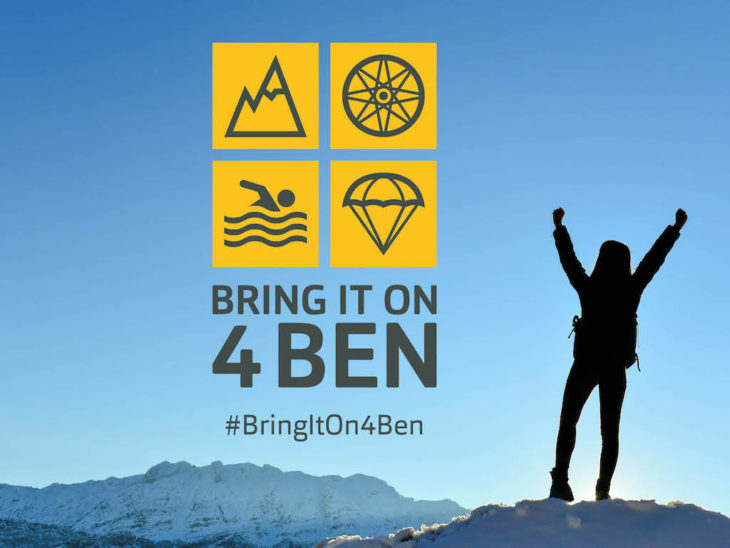 The ‘Bring It On 4 Ben’ campaign invites both companies and individuals to take part in new fundraising challenges under the strapline, ‘Take on one of Ben’s challenges to help people overcome theirs’. There are 18 different challenges available, aimed at providing something for everyone regardless of age, fitness or ability, and including reaching the highest heights in a skydive, trekking to a lost city, scaling a mountain or running a marathon. Matt Wigginton, business development director at Ben, said: “As our industry faces uncertain times ahead, more and more people will turn to Ben for support so that’s why I’m asking the whole industry to get behind Bring It On 4 Ben and be part of something amazing together. To sign up to the campaign, click here.